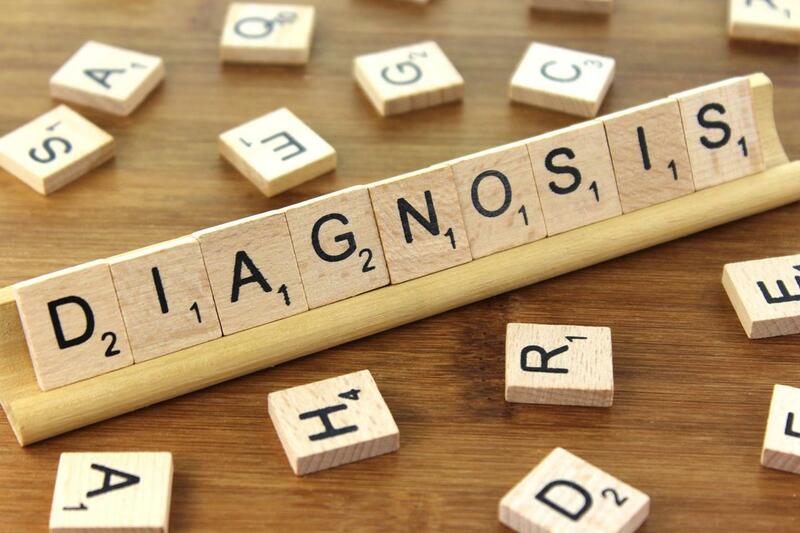 A diagnosis is the identification of a medical condition that affects the future of the person receiving it. It may be minor or life altering, temporary or permanent. Sometimes this comes about as a result of genetic testing, a problem with the baby during pregnancy, or the pregnancy itself brings an otherwise unknown health condition to light. A medical diagnosis will often change how a person perceives their state of health or identity. It may limit their options during birth. Doulas can contribute to their client’s well being by offering emotional, informational and practical support during this difficult time. Everyone else will likely want to offer a medical opinion or advice. When we refrain from doing so we empower our clients to find their own answers. Medical people can put the medical condition in the center and focus on it as a problem to be solved. There may be little support for the person having the problem. Doulas can put our clients in the center and support them wholistically through this health care journey. Adjustment to the diagnosis will depend on how prepared they were for it and how life altering it is. Many of our clients have thought of themselves as primarily healthy so the idea of a medical diagnosis can prompt a shift in their self-concept. This can be a crisis for your clients, even more so than the birth. It may be the first time our clients are dealing with medical issues that limit their life choices. We need to provide them with support and also with some context. Most people eventually have limitations placed on their activities because of health conditions. But this is often invisible or kept private. So even the idea of having a limitation may be an adjustment for your clients. Some diagnoses may only last for the length of the pregnancy or a few weeks postpartum. But make sure your clients understand the lifelong implications of a pregnancy condition. Preeclampsia, HELLP syndrome, and high blood pressure indicate cardiac issues in later life. Other diagnoses, such as kidney disease or diabetes, may have lifelong healthcare implications and trigger a major change in lifestyle. If our clients have a genetic condition, they may worry about passing it along to their baby. Most genetic testing centers do have counselors and social workers. But wait times can sometimes be months long. Part of your role as the doula could be to figure out what supports are already available for your clients. Major medical centers may have educational classes. While doulas are not trained counselors, simply by listening fully and using our emotional support strategies (Gilliland, 2012), doulas can help. Listen. Listen carefully, listen thoughtfully. Hear what isn’t being said by paying attention to when people pause. Often other friends and family members will rush to share information, remedies, and stories of other people with the condition. Doulas listen and use what they are hearing to craft their responses. Empathize and reflect their feelings. Some people know what they feel right away. Others may take hours or even days to process and for their feelings to come to the surface. Everyone else in their lives is also affected emotionally by this diagnosis. It’s normal to go through a grief period. People may be in denial. They may be angry or sad, or wonder if they’ve been offered other options or made different choices if the outcomes would be different. These are all typical responses and the best thing we can do is to normalize them. Allow our clients to feel them fully in our presence without trying to fix things. The caring detachment that a doula brings can be the calm that people need at this time. Center them in the present moment. What response is required right now? Is there any? Unless there’s an imminent decision to be made, it’s usually okay to take time or create breathing space with the situation. People may begin to think ahead and wonder how they will handle a problem two weeks from now. I call this “getting on board the anxiety train”. It’s rushing out of the station accelerating one’s anxiety with a lot of “what if” scenarios that don’t exist now. Doulas can remind them that they can take time and that the rest of their lives are waiting for them. Dogs still need walking, and laundry still needs folding. Help them to figure out what they need. Then, figure out the best ways to meet those needs. This can give people back a sense of control if they feel out of control. Identifying specific needs and wants and concrete strategies to meet them can also relieve anxiety. When it comes to information, it’s easy for us to get excited and want to know is much as we possibly can. We want to make sure that we understand their condition or at least the basics of it. Make sure your information is sound and comes from trustworthy sources. Doulas want to refrain from offering information that is not desired by our clients. Be aware that even offering information may be seen as offering medical advice or felt as pressure. Follow your client’s lead but realize things can change rapidly. Last night they might have welcomed it and today they are feeling overwhelmed. What kind of education or information would be helpful? Do they need information from their medical provider? Are there support groups available online or locally? What are they asking the doula to do? Most importantly we want to understand how our clients perceive the information they have heard and read. How are they feeling about what they know? How they are feeling about their care provider and the type of care they are receiving? Are they getting enough attention or information? Is a second opinion warranted? Usually if one doctor is recommending restrictions for labor activities or intensive fetal monitoring and the reasoning seems murky or unclear, it is a good idea to get a second opinion for your client’s peace of mind. Sometimes clients feel loyalty towards their doctor and that getting a second opinion is disloyal. I remind them that they would get three estimates before doing major car repairs. They will live with the repercussions of the birth on their bodies for the rest of their lives, which is longer than they would own any car. Doctors who are offended by second opinions may have their own personal feelings over involved in their client’s care decisions. That isn’t appropriate in healthcare. But it does exist according to many doula interviews that I’ve analyzed in my research. We may have to help our clients navigate their careprovider’s feelings. Receiving a medical diagnosis often means that your client options are more limited. Every step up in care from family practice physician or midwife to obstetrician, or from obstetrician to maternal fetal medicine specialist or perinatalogist, limits your client options for labor and birth. Some diagnoses require this step up in care but others can be negotiated. Doulas can suggest that clients feel confident that a step up in care is necessary. From a labor support perspective, find out in advance how your labor support role may be altered due to required interventions. Has the diagnosis changed their ability to take care of themselves? Are there any practical problems that need to be solved? Are there restrictions on driving or activities? For people who are not naturally organized, this may be the most precious service a doula can offer – helping them to figure out how to make their lives work while they prioritize their health. Does the diagnosis require more medical appointments, ultrasounds or additional frequent tests? Can your client take the time off from work in order to attend these extra appointments? Will they need to work less in order to rest more and take care of themselves? Doulas can encourage our clients to advocate for themselves at work and in medical care systems. It may be possible to get appointments at more convenient time such as early evenings or Saturdays. Identifying their theme can lead to a deeper reflection on their values and priorities as parents, making future decisions easier to make. Sometimes our clients receive a health-care diagnosis but don’t take it seriously enough. High blood pressure issues are a frequent indication of cardiovascular disease in later life. However our clients may not even want to acknowledge that there is a problem. This is another time when remembering the doula’s scope of practice is really important. We need to accept our clients just as they are and not as we would ideally like them to be. Our clients may brag to us about how they are not following the clinical guidelines set by their care provider. They may dismiss the seriousness of their diagnosis. Other clients go to the opposite extreme and worry more than seems warranted. In these the situations I recommend that you stay away from judging them and instead employ a more helpful technique. Focus on simply reflecting their own behaviors and especially feelings back to them. It’s a common tactic employed by doulas in a variety of situations (Gilliland, 2012). What might this look like? No matter what your client says about the doctor, about the recommendations, about the diagnosis, focus on how the person is feeling or might be feeling. Ask them if you’re accurate so they can correct you. The better they understand their own feelings and can recognize and release them, the more open and unrestricted their decisions will be. The truth is ALL decisions made by humans are emotional ones. Where doulas can help is for people to recognize what the emotional basis is for those choices and to be making them consciously rather than simply reacting to circumstances. In my chapter in the book, Doulas and Intimate Labour: Bodies, Boundaries, and Birth, my research was on doulas as guides for transformation. Getting a health care diagnosis is also a process of transformation. All of a sudden something is true about you that you didn’t know before AND it’s profoundly affecting your life’s direction and choices. Having a doula to listen to and reflect you back to yourself is priceless. We might think we’re guiding people through pregnancy and birth, but we’re also helping them to make future choices that have lifelong impacts. We meet them when some of our clients have never done that before, or their parental models weren’t good at it. By listening, reflecting, naming, and being present with people, we help them to become who they want to be. It’s simple and it’s impactful at the same time. When we feel vulnerable humans are very simple creatures. We want to be tended to and cared for, which are the main skills of the doula. Gilliland, A.L. (2015) "Doulas As Guides of Transformation and Grief", Doulas and Intimate Labour: Bodies, Boundaries, and Birth, Demeter Press. New York. p. 82-95.